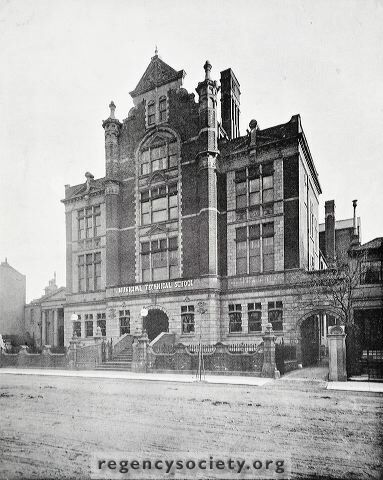 This photograph is of the Technical College as it appeared at the time of its opening in January 1898. It was built on the site of Richmond Villa, a house in which Amon Wilds, the builder once lived. In 1909 the house shown to the north, Clydesdale House, was demolished and a Training College was erected in the same architectural style as a North wing. The house just visible to the south, no. 8, was removed in 1934 and a south wing of the College was opened in 1935. Additional Information: This building was converted to flats in 2007.